Nothing has a greater impact on our lives than our families. The family is the most powerful unit of society, influencing and shaping every man, woman and child for good or for bad. Unfortunately, there is plenty of pain in families. In fact, people are more profoundly hurt by those in their own family than anywhere else. Parents hurt their children and children hurt parents. Many people carry the wounds and scars they receive in their home for the rest of their lives. Some of you have a great relationship with your parents, while others find it to be one of the most difficult challenges you face. So many teens and young adults live their lives in total chaos because of the volatility of the relationship with their parents. I understand that sometimes, especially in abusive homes, there is only so much you can do yourself to bring peace to the relationship with your parents. However, many times, parents are willing to meet in the middle. Obviously no one is perfect, including your parents. You have probably come to the realization that your parents are flawed and have at times let you down. Nonetheless, I have yet to meet someone who is bitter toward their parents and happy at the same time. So for your own sake, learn to make peace whether you feel it’s fair or not. So, as far as it depends on you, what can you do to improve your relationship with your parents? One of the easiest ways to wreck a family is to always blame others when things go wrong. But Dawson, you say, It’s not me! The bad things in my family are not my fault! Just remember this, if you are having struggles with your family, most likely you can share the blame. The part you can control the most is your own attitude. Do you always have to react with an argument or frustration? Are there times you could choose to just let it go? When it comes to learning about life, you can greatly benefit from your parents’ experience and wisdom. There is no greater teacher than experience. Because of your parent’s age, they simply have more years of experience than you, and therefore, often have the ability to identify the people, events, and circumstances that can greatly affect your life. Many times, they have already been through what you are facing and understand how to react to the situation. While it’s humbling to admit, you do not have all the answers to life’s situations. Your parents’ experience can help you avoid all kinds of wrong choices that cause heart-breaking consequences. Samantha commented:I think the best way to have a good relationship with your parents is to respect their opinions even if you don’t agree with them. They have been through more of life and know more about the world than you do. They may not always understand your reasons, but they have a point to make, and you should listen to their views. Your parents can teach you a lot of things and keep you from a lot of pain, both physical and emotional, if you will keep an open mind and really think about what they are saying. Nikki understands this truth, by having learned to listen to her parents. If you actually listen to what they are trying to tell you and not just blow it off, and think here we go again another lecture, then it will have more of an advantage to you. Your parents just want to make sure you don’t make the same mistakes they did. For once, listen to your parents and do what they tell you and see what happens. There was a survey taken a while back that asked parents what would you like most from your teenager. The answer was: I wish they would spend more time with me. Another survey asked teenagers and young adults what they wanted most from their parents. The answer was the same. It’s hard to understand and appreciate someone if you never spend any quality time with them. Spending time with your parents is a huge challenge, I know. Andrea commented about how difficult this is: I personally don’t have a good relationship with my parents because they are always working and I have a busy life myself. Most people have very busy schedules. 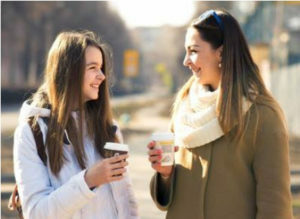 However, I believe that most parents would make every effort possible to spend more time with their teenage kids if they knew you were open to it. Don’t assume your parents know this. You may need to ask. Everybody wants to be loved and appreciated. Your parents are no different. It is not enough for you to simply feel love for your parents; you need to express it to them. When you tell them you love them and are grateful to them for all they have done, it will have an incredible impact on your relationship. Another way to express your love is by accepting their position of authority in your life. Like it or not, they do have the authority, so you need to show them respect even when you think they are wrong. I understand this isn’t easy. You might be thinking your parents don’t deserve to be loved or appreciated. However, when you make an effort to treat them with love and respect, regardless, God will honor your efforts. You will be glad you did. No doubt, your parents have offended you at some point. And, most likely, there have also been times when you have disappointed and hurt them. Maybe it was a lie, or a broken promise, or mean words said in a fit of anger. Whatever it is, it’s important for you to forgive and to seek forgiveness. I know that forgiveness isn’t easy. It is a process in which by an act of your will, you yield your rights to get even with someone who has wronged you. (Read my blogs about forgiveness here.) When you forgive, you let go of the negative emotions that control you. If you don’t forgive the people who have hurt you, you are only asking for a life ruled by bitterness and rage. Alyssa has some good advice: When I was growing up and my family was having hard times, I did two things: I prayed and I wrote. I prayed to God to give me the strength to get through the tough times, to help me not be so hostile, and to be the best I could be in every aspect of my life no matter what was going on at home. I am a natural writer so I wrote about my feelings. I wrote about my day, I wrote about how I thought others feel, I just wrote to write. Both things help a lot to get through tough times. From the very beginning, it was God’s idea your parents would be an incredible tool to shape your life forever. It’s God’s plan for your parents to nurture and help you grow physically, emotionally, socially, and spiritually. Parents have the ability to see bad attitudes and weaknesses in your life. Everyone has rough edges and parents can help smooth those out. No one else cares enough or is honest enough to help you in this way. One of the best ways this happens is through the discipline of your parents. Like it or not. When you are willing to honor and obey your parents, you are honoring their God-given responsibility and role in your life. Sometimes it may feel like obeying your parents guidelines doesn’t make any sense at all. But in the end, most of parents love their kids and want what’s best for them. Doing what they ask will be a great way to have a stable life. These six ideas I have mentioned in this blog are simple to talk about, but not so simple to practice. I get that. But trust me, if you are willing to do the hard-work, it could be life-changing. 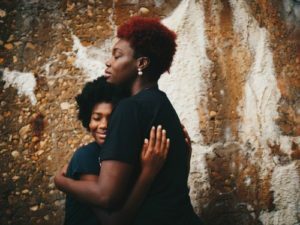 Remember no matter how difficult your parents may be, it is extremely important you do the best you can do to have a meaningful relationship with them. It will be worth it. If you are having difficulty in your relationship with your parents, I hope this helps you. But you may still need one-on-one personal advice and communication for your specific family situation. Getting advice from a pastor or school counselor would be a good place to start. Find someone you can trust to talk to about what’s going on at home. Remember, you don’t have to carry it all alone. My mom and I are turning into roommates, not just mother- daughter, she still treats me like her little kid who doesn’t know how to manage money or bills, FYI i’m 22 and have lived on my own before…….what should I do?? How I can stop been stress out when my parents always yell at me?